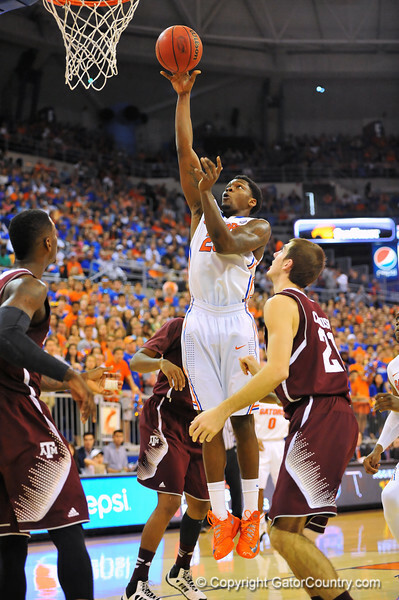 The Florida Gators put a whooping on Texas A&M at home 69-36 for their 12th win in a row. Florida guard Michael Frazier drives to the net and lays in the shot during the first half. Florida Gators vs Texas A&M Aggies. Feb 25th, 2014. Gator Country photo by David Bowie.